Featuring warm, earthy shades of beige, cream, and chocolate marble this backsplash tile lends a sophisticated and graphic element to any space. As a bathroom or kitchen backsplash, it partners well with a wide range of cabinetry colors from chocolate to white and it complements with a wide range of floor tiles and marble slabs to complete the look. 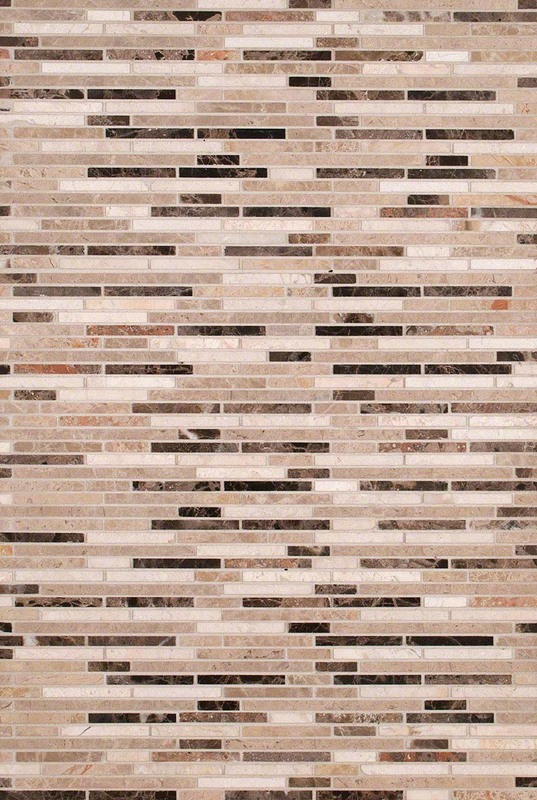 Its linear design gives this timeless stone a contemporary edge.